Every child needs a space that is truly unique to them- a design that will drive their imagination, creativity and dreams. I started Boo and Rook because I believe that children have to be the change in the world. We should give them every opportunity to believe in their future and to dream without limitations. I strive to create these spaces for your children, no matter the age. Tadpole, located in Boston's hip & historic South End, is city's premiere destination for all the best brands in the baby world. Roll down the street in strollers from Bugaboo, UppaBaby, Bumbleride, Baby Jogger, and BOB. Complete your nursery or child's room with furniture and accessories from Oeuf, Bloom, Monte Design, Keekaroo and Spot On Square. And be sure to check out our collection of the best in clothing, toys, and gear, including Tea Collection, Skip Hop, Boon, Lego, Zutano, Melissa & Doug, Aden & Anais, and much much more! Health professionals overwhelmingly recommend the mom and baby friendly Boston Billow. Only the Billow adjusts to all moms, all babies and all nursing positions. Dibzy connects inspiration with production by linking inventors with ideas to manufacturers that bring creativity to life. The result? 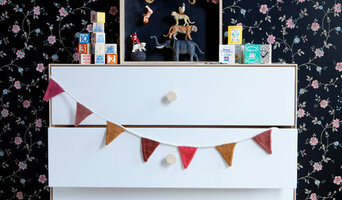 Imaginative baby products and original family-oriented designs. Dibzy innovates, creates, builds and connects. We make big dreams happen. A Baby's Nest is a family owned business. Owners, Jim and Martha Prestandrea have been independent retailers for over 30 years. A Baby's Nest was born in 2003! There was a need for a quality baby furniture, accessories and gift shop in the area. After extensive research, only the most trusted manufacturers were chosen. Young America, furniture made in America and for their safety testing, Baby's Dream, the inventor of the convertible crib and safety-gate cribs, Pali, Bonavita, Best Chair..Plus many more! 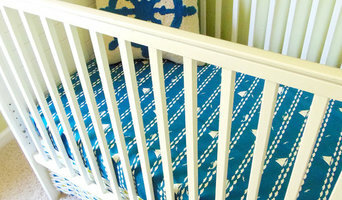 We know you have a lot questions and concerns about your baby's nursery furniture. Let us at A Baby's Nest share our knowledge and this wonderful experience with you. There are many decisions to be made for your new family. Our family is here to help. Quality craftsmanship in our furniture. Safety regulations meet and exceed requirements. Value and confidence in your purchase. That's what A Baby's Nest stands for. Don't cradle your baby in anything less. "Are YOU ready to be Kid Flipped?" We are a new experience that brings out the Kid in everyone. Let us conceptualize, imagine and create a world on all 6 walls or finish off your next project. Visit our gallery to see the Fun, Creativity and Excitement we can bring to your home or business. Baby Delight, makers of the bestselling Snuggle Nest infant sleepers since 2000, is dedicated to offering simple innovative sleep solutions for parents. We are 100% AMERICAN MADE! Holgate's early toy designer was Jarvis Rockwell, brother of famous illustrator Norman Rockwell who visited the Holgate factory on several occasions. Jarvis Rockwell's concern for safety, durability and educational play earned him recognition as America's premier toy designer during this period. With the great consumer success of its toys, Holgate began concentrating on this segment of its business. Today Holgate is synonymous with toys and is still making the finest wooden toys in America. Our factory is now located in Bradford, Pennsylvania, still in the middle of America's premier hardwood forests. Today, Holgate is recognized as the premier maker of children's wooden toys in America. Heroes Will Rise develops toys, play spaces and learning materials. 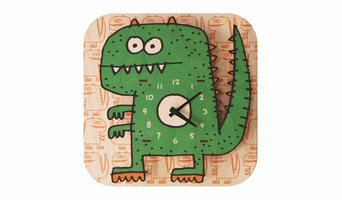 Fun kids room decor and a large assortment of personalized kids home products. What does a Wellesley kids room and nursery designer do? Most designers who specialize in decor for kids’ rooms and nurseries will tell you that a child’s room isn’t just for sleeping in. Little ones need a space where they can learn, play and sleep safely. Furniture, blinds and even lighting have to work safely for both you and your little one. Whether you’re hunting for small or large brands, make sure you chat with your Wellesley, MA designer to make sure that what you buy meets safety requirements. To choose kids’ furniture that will stand up to the rigors of active play, look for high-quality furniture that meets Massachusetts standards. Make sure that each designer and manufacturer you work with is aware of any product recalls, dangerous materials and structural requirements. If you’re planning a larger project that goes beyond products, you might need to reach out to other qualified professionals for help. Here are some related professionals and vendors to complement the work of kids & nursery: Artists & Artisans, Furniture & Accessories, Interior Designers & Decorators. Find kids’ room and nursery professionals on Houzz. Narrow your search in the Professionals section of the website to Wellesley, MA kids’ room and nursery designers. You can also look through Wellesley, MA photos to find a room you like, then contact the designer who worked on it.